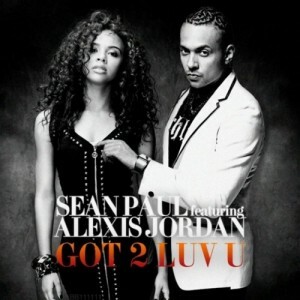 South Carolina poppet Alexis Jordan has returned to the spotlight again, this time as a feature vocalist on the new single from Sean Paul. The track has already started impacting over in the US, where its presence is being felt on some of the Billboard charts. It’s the first to be lifted from Sean’s new album, which is due early next year. With more than ten million album sales across the world in the bag already, ‘Got 2 Luv U’, co-penned by Stargate and Ryan Tedder (Beyonce’s ‘Halo’, Leona’s ‘Bleeding Love’), will no doubt only add to the catalogue of commercial successes. She is talented so the question needs to be asked…what is she doing here? This track is already released to ozzie itunes store.